The Tennessee Board of Regents, the University of Tennessee, and the state's regionally accredited Independent Colleges and Universities make up one of the largest systems of higher education in the nation, with over 90 campuses and over 250,000 students. Our institutions are located in over 90 of the 95 counties in Tennessee, and we offer a wide range of graduate programs leading to master's, doctoral, and professional degrees. Our institutions credential over 38,000 Tennesseans each year, making them more marketable and better prepared for the 21st century workforce. Colleges and universities in Tennessee offer graduate programs ranging from master's programs in Agriculture to doctoral programs in Zoology. Our institutions offer master's programs in 23 fields, the Educational Specialist degree, doctoral work in 19 fields, and Law and Medicine. Moreover, over 31,000 students are enrolled throughout the state in graduate and professional programs. Graduate students have many opportunities to engage in research at virtually all campuses. Opportunities like the state's Centers of Excellence provide some key examples. Since 1984, these 26 research and development centers have produced ground-breaking basic and applied research, as well as generating millions of dollars to support their research endeavors from a variety of federal, state and private foundations. These Centers are investigating a plethora of research areas ranging from Creative Arts and Pediatric Pharmacokinetics to Livestock Diseases. We are happy that the achievements of these centers will continuously contribute to the research community and beyond. It is important to note that graduate programs in the Health-related professions, Education, Business, and Engineering awarded the most degrees during the 1997-1998 school year. Several institutions and graduate programs have been listed in the 'Best National Universities' rankings published annually by 'U. S. News and World Report'. The majority of our programs are equally distributed, across disciplines, throughout the western, middle, and eastern regions of the state. However, there is a highly concentrated number of graduate programs in Education, the Biological and Physical Sciences and the Health-related professions in middle Tennessee, and a large number of graduate programs in Agriculture and Engineering in the eastern region of the state. Meanwhile, the western region offers a remarkable number of graduate programs in Philosophy, Religion and Theology. The relocation of several major corporations to the state, combined with many new partnerships with state and private/corporate agencies have created a wealth of new opportunities and resources available for collaborative education initiatives, internships, and employment. These improvements will ultimately lead Tennesseans to achieve higher levels of income and prosperity that will be enhanced with quality graduate programs. Statistics have shown that enrollment patterns in the state are quite fluid. However, more and more students over the age of 25 are returning for post-baccalaureate and advanced training, a population most needed to meet the human resource needs of business, industry and government in the state. Improvements are already under way to better serve adult students and the goal of lifelong learning across the state and across disciplines, through initiatives of strategic master planning and performance funding. Thus, the range of graduate education, opportunities for basic and applied research, and partnerships with businesses allow the State of Tennessee to attract quality graduate students from around the world. 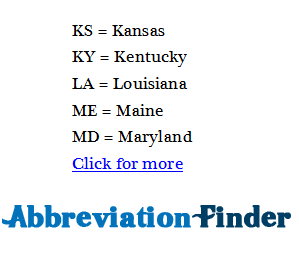 TN stands for Tennessee; for other definitions, please refer to abbreviationfinder.org.